Aerial view flying backwards over rapeseed field with storm and rainbow in distance in Skane, Sweden. 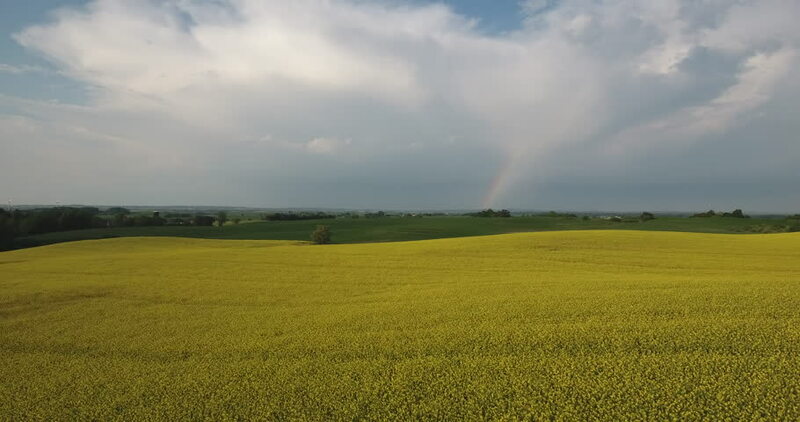 4k00:30Aerial view flying left to right over rapeseed field with storm and rainbow in distance in Skane, Sweden. hd00:09Moving cumulonimbus clouds over yellow field, time lapse. 4k00:13green reeds in a pond on a background of the storm sky. 4K. FULL HD, 4096x2304.